The Campbell County Public Library welcomed new public services librarian, EMILY CORREA, to their system on March 20. She will serve the Staunton River Memorial Library in Altavista and the Patrick Henry Memorial Library in Brookneal. In addition to helping with this year's summer reading program, "Build a Better World," Ms. Correa hosted a pop-up library at Uncle Billy’s Day, an annual festival held in Altavista on June 2-3. 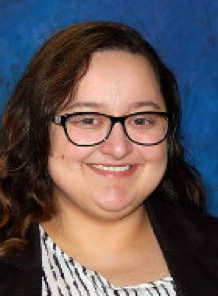 Ms. Correa has a Bachelor’s degree in Media Arts and Design from James Madison University and a Master’s degree in Library Sciences from the University of North Texas. Having lived in the Harrisonburg area of Virginia for most of her life, she is excited to have moved to Campbell County and to have the opportunity to learn about another part of the state. JOSLYN JONES has been named the new Assistant Director for Prince William Public Library System, serving Prince William County, which is the second largest and fourth fastest-growing county in the state of Virginia. Ms. Jones most recently held the position of Branch Manager at D.C. Public Library’s Francis Gregory Branch. 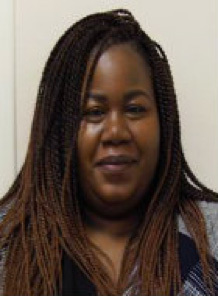 She has also served in a supervisory capacity at Prince George’s County Memorial Library System in Maryland and at Arlington Public Library in Virginia, in Children’s Services and Reference Services, respectively. 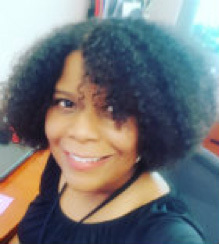 Ms. Jones’s first “real” job after completing her Bachelor’s degree in English at Hampton University was as a Library Associate at Grande Prairie Public Library in Hazel Crest, Illinois, twenty years ago; she has been working in public libraries ever since. She received her MLIS in 2008 from Dominican University. 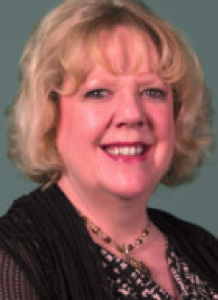 The Prince William County Library Board of Trustees is pleased to announce that DEBORAH WRIGHT is the new Library Director for the County’s Public Library System. Ms. Wright has 14 years of experience in the Prince William Public Library System, including two years as the Assistant Library Director where she oversaw public services in 11 branches and had direct supervision of the branch administrators. She previously worked at the Prince William Public Library System as well as the Prince William County Schools before moving to the Newport News Public Library System serving as a Branch Administrator, and a Family and Youth Services Coordinator. She then made her way back to Prince William to become the Branch Administrator for Chinn Park Regional Library. Ms. Wright received her Bachelor of Arts degree in English from Roanoke College and her Master of Science degree in Library Science from the University of North Carolina. She is also a member of the Virginia Library Association and the American Library Association. CORY BLAND is now a new full-time Library Associate at Suffolk Public Library as of April 3, 2017. He started in 2013 as a part-time Library Assistant I and was promoted to Outreach and Operations Assistant last year. Mr. Bland attended the Rhode Island School of Design to work towards his Associates degree. RAYNELL CARPENTER is the new Learning and Staff Development Coordinator of Suffolk Public Library as of March 16, 2017. She holds a Bachelor of Science in Information Technology with a concentration in Database Management. She has over eleven years of experience in public education. Ms. Carpenter worked for Newport News Public Schools in several positions and most recently as the lead Student Information System Trainer. In this role, she was responsible for training the trainers, formulating training outlines, and determining appropriate instructional methods. In addition, she was responsible for the development and implementation of the student scheduling process for the entire division. 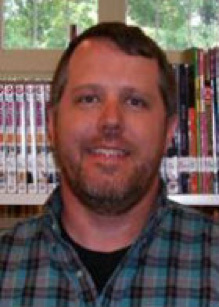 As of May 16, BILL EDWARDS-BODMER is a new Emerging Technologies Librarian at Suffolk Public Library. Mr. Edwards-Bodmer holds both Bachelor’s and Master’s degrees in History from Old Dominion University. Having worked in libraries since 2007, his career includes experience with special collections and positions in academic and public library settings. He was an Assistant Archivist/Library Researcher at The Mariners’ Museum Library and recently worked at Norfolk Public Library’s Slover Library as their Information Technology Trainer. ASA HEYWARD is the new Teen Services Senior Librarian of Suffolk Public Library as of May 1, 2017. He has a Bachelor’s degree in Spanish from Syracuse University and a MLIS from Florida State University. 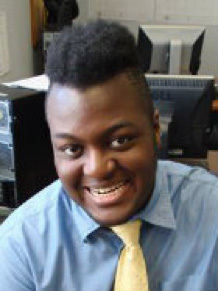 He received a 2015-2016 ALA Spectrum Scholarship. 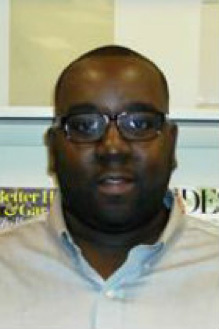 Mr. Heyward’s career spans 15 years in public and academic libraries. For the past decade he has been a Youth Associate with Norfolk Public Library delivering fun, innovative, and enriching programs to babies, school-age children, and teens. 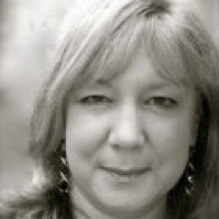 The Williamsburg Regional Library Board of Trustees is pleased to announce that BETSY FOWLER has been named the director of the Williamsburg Regional Library (WRL). Ms. Fowler is the former director of library and research services for the City of Chesapeake and served as coordinator of branch services for the Central Rappahannock Regional Library, serving the City of Fredericksburg and surrounding counties. Bill Porter, chair of the WRL Board of Trustees says, “Betsy Fowler will be an excellent director for the library, and brings a range of experiences that will ensure the WRL continues to fulfill the needs and expectations of our community.” She began work at the library on March 16, 2017. Betsy Fowler has served as a library advocate, library administrator, and library consultant for over three decades. She has headed the renovation, design, and construction of more than a dozen library facilities in the Commonwealth of Virginia. She is the recipient of the Public Relations Award and the Staff Person of the Year Award from the Virginia Library Directors as well as the City of Chesapeake’s City Manager’s Award. She also earned a congressional earmark for public library workforce development. Ms. Fowler earned her Masters of Science in Library Science from the Catholic University of America. The Prince William Public Library System (PWPLS) is proud to announce the receipt by the Friends of the Montclair Community Library of an award for $5,000 from the Best Buy Foundation Community Grant Program. This was a joint effort between the Friends of the Montclair Community Library, Prince William Public Library System and Forest Park High School, developed by Ursula Juarez-Wall, a librarian at PWPLS, and Eva Newton, a librarian at Fairfax County Public Library, advancing a Young Adult Digital Book Trailer contest as part of their Virginia Library Leadership Academy project. Students in grades 9-12 selected a young adult book they had read, then created and produced a digital book trailer to inspire others to read the book. On March 30, 2017, prizes were awarded for 1st, 2nd, and 3rd place winners respectively as follows: Nathan Hall for Metro 2033 by Dmitry Glukhovsky, Soleema Moses for The Last Time We Say Goodbye by Cynthia Hand and Laurie Turner for 1984 by George Orwell. "Nothing pleases me more than to see my staff motivate from within the organization and succeed on not only receiving funding, but also developing community partnerships and working with our teen audience," said Deborah Wright, PWPLS Library Director. The funding for this project came from a Best Buy Foundation "Ignites Teen Potential through Technology" grant. The mission of the grant is to provide teens with places and opportunities to develop technology skills that will inspire future education and career choices. 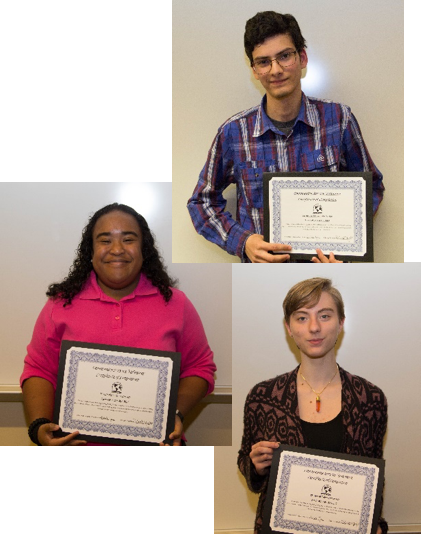 Funds were used to procure additional equipment and software for the Montclair Community Library's Digital Media Lab and Central Community Library, student meetings, contest prizes, teen programs, and a project finale celebration.